Yon koudèy sou nouvel nan lemond ann foto. 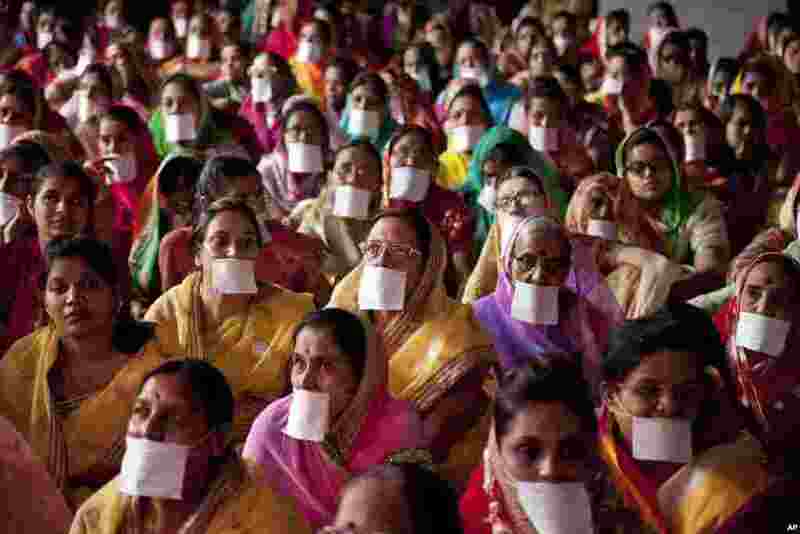 5 Indian Jain community members gather in support of members of their community who have been on a symbolic “Fasting for world Peace’’ for the past eight days in Hyderabad, India. 6 Indian supporters of Gorkhaland chant slogans tied with chains during a protest march in capital New Delhi. 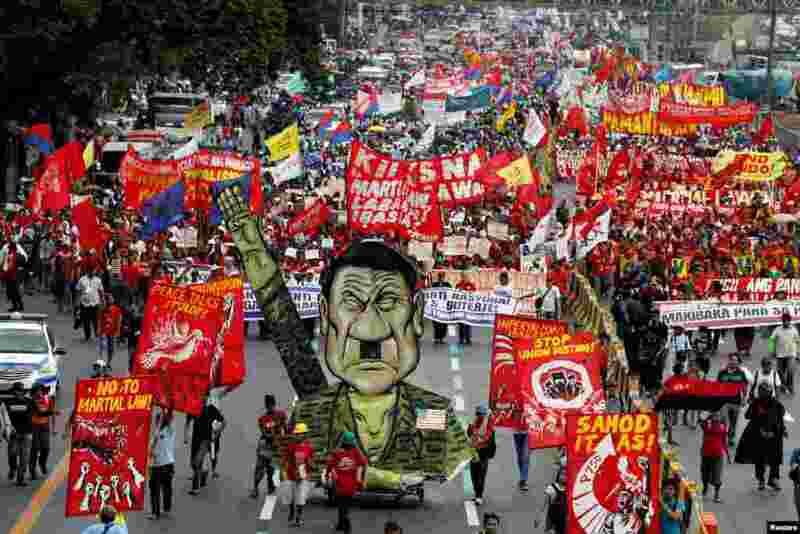 7 Protesters display an effigy of President Rodrigo Duterte during a march towards the Philippine Congress ahead of Duterte's State of the Nation address in Quezon city, Metro Manila, Philippines. 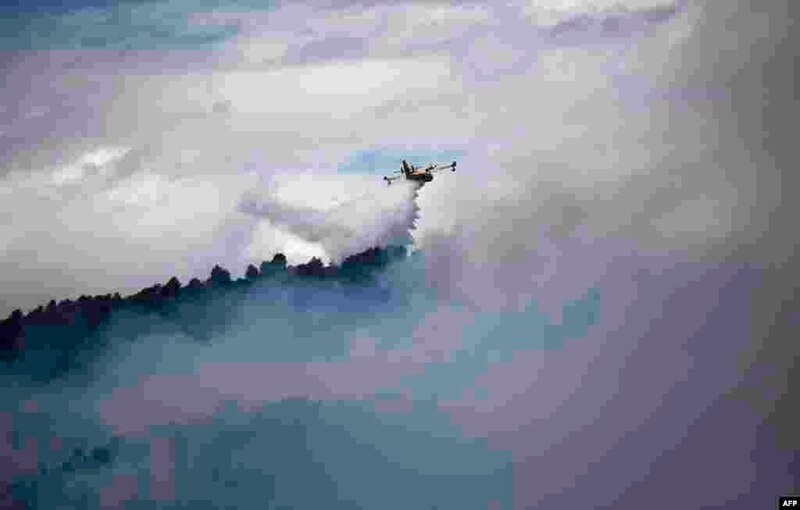 8 A fire fighting Canadair aircraft drops water over a fire in Mirabeau, southeastern France.